Get a fully loaded video editing toolkit for a fraction the price. 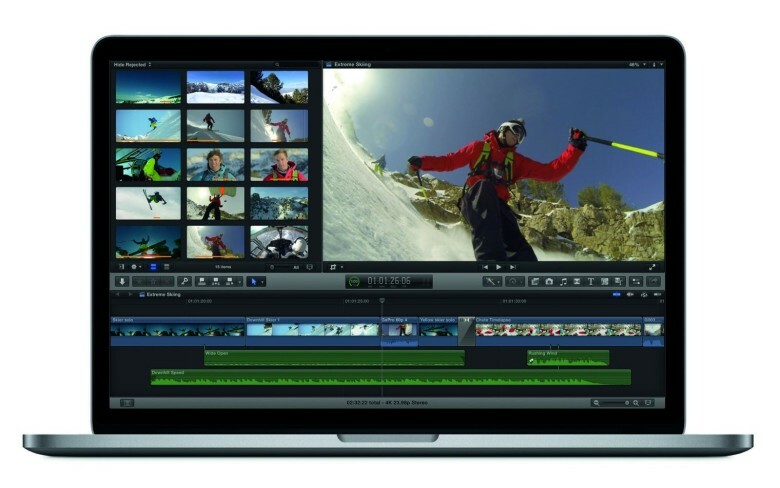 Your Mac comes with a pretty solid video editor, but it’s got some real limitations. So if you want to up your game, you’re usually faced with dropping a lot of dough on a professional app. Luckily, it doesn’t have to be that way. Nizo manages to mix power and ease of use. Take note, Apple. 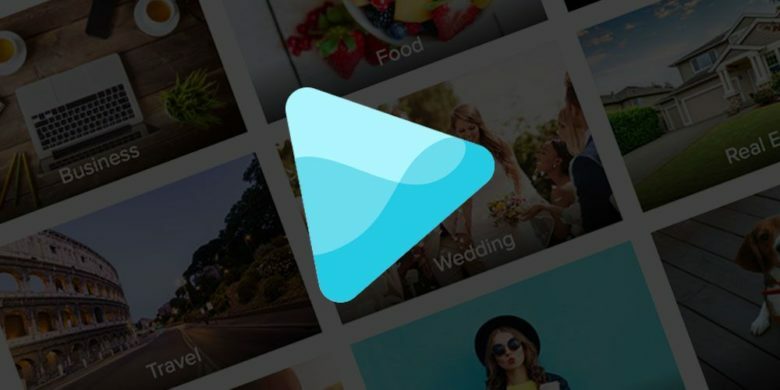 Nizo is a new take on video apps. It manages to blend shooting and editing together, so you can edit your movies on the fly as you capture them. The interface to do this is — like much good design — so clean and obvious that you wonder why it wasn’t done before. Let’s take a look. 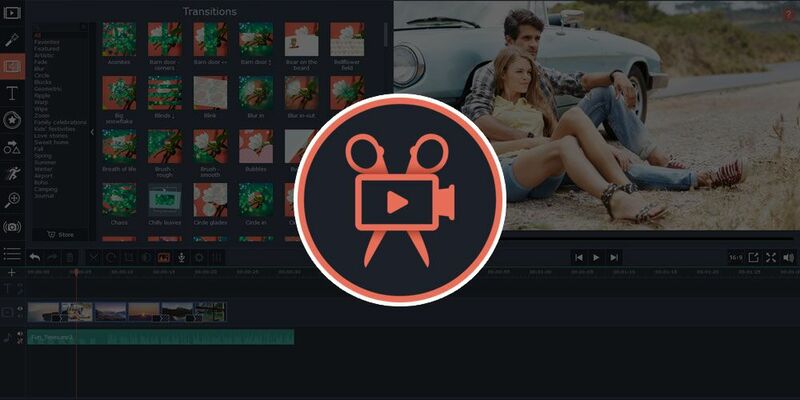 Creating social video has never been as easy or affordable as it is with Wave.Video. These days, video is in vogue. From vlogs to music videos to product reviews and on and on, social video makes for content people love. But not everyone has time to master industry standard platforms, let alone the money to buy them. So intuitive, affordable alternatives go a long way. Apple’s quick video editing app, Clips, just got a big update today that adds new features that take advantage of the TrueDepth camera on the iPhone XS, XS Max, XR and iPad Pros. 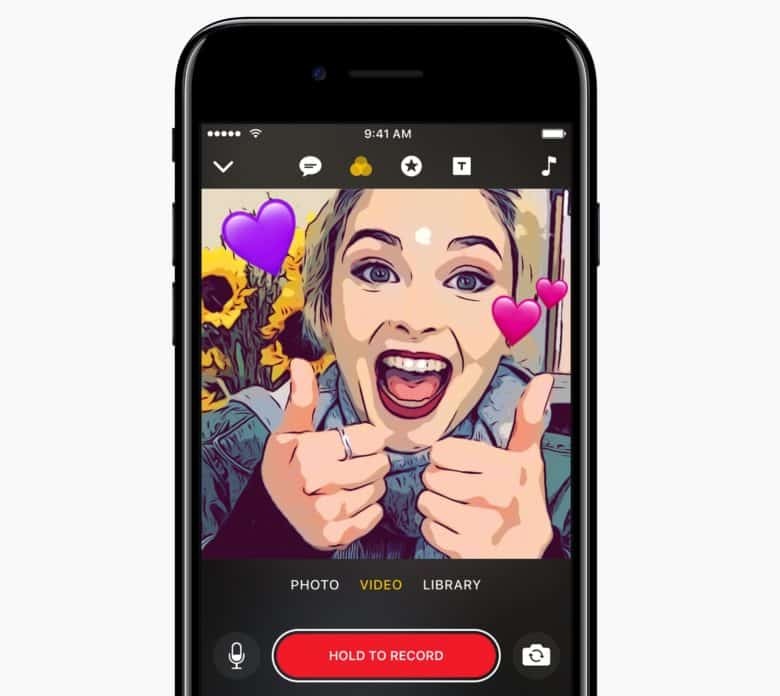 The new update brings new Selfie Scenes, stickers, soundtracks more, making it even easier for iPhone and iPad users to create fun videos on-the-go. Final Cut Pro X is one of the most widely-used video editing tools around. 2017-era Apple doesn’t brag about adoption figures in the same way the company used to under Steve Jobs. But at this week’s annual National Association of Broadcasters conference it made an exception. Specifically, Apple revealed that it now has 2 million users of its Final Cut Pro X video-editing software, five years after launching the tenth version of the program. Spice up your videos with Clips. 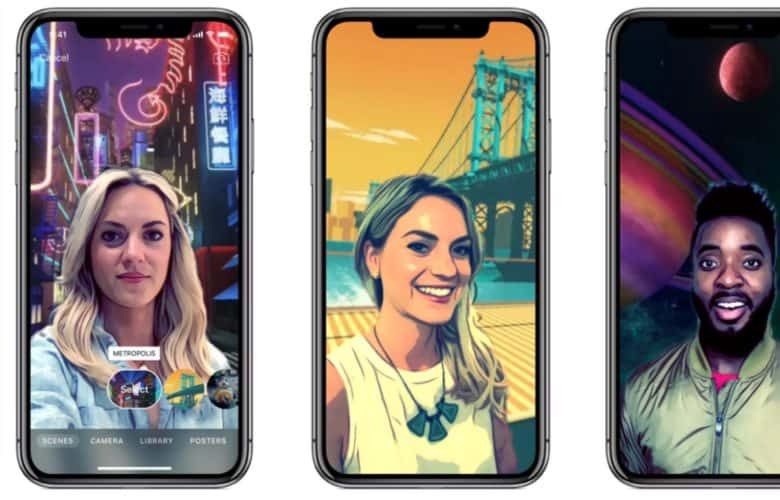 Apple’s new app Clips finally arrived on the App Store today, bringing iPhone and iPad owners an all-new way to make fun and silly videos that are perfect for social networks. Clips lets users combine video clips, photos and music into short videos that can be up to an hour long. You can also add flair to your videos by adding filters, emoji, stickers, captions and more. But according to some early reviews, navigating the simple app can be a bit complex. Apple packs a ton of updates into the new FCPX. If you watched the most recent Mac media event, you already got a preview of Final Cut X — thanks to the on-stage demo showing how it worked in conjunction with the MacBook Pro’s new Touch Bar. But there’s a whole lot more to the Final Cut Pro 10.3 update than that. 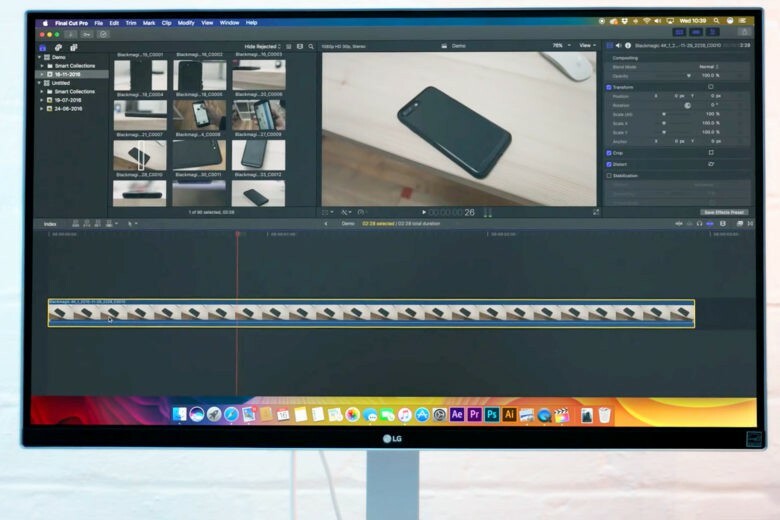 To check out what you’ll find in the latest update for Apple’s video-editing software, check out our comprehensive video below. If you start work now, you'll be in line for "Best Picture" at next year's Academy Awards. 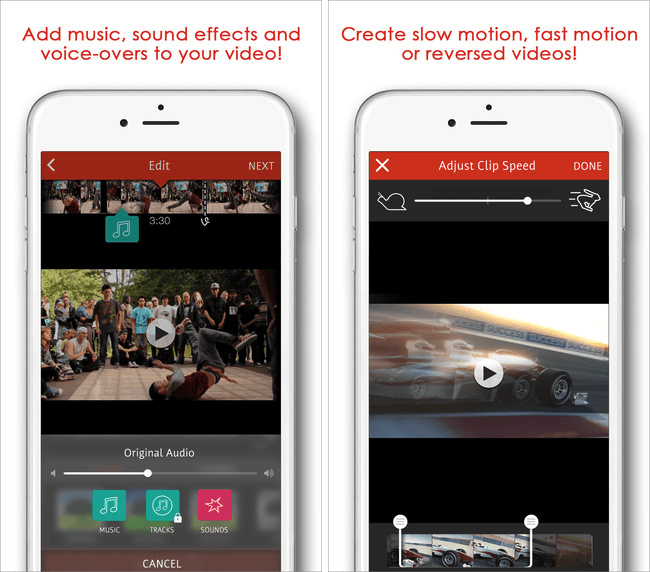 More and more videos are being shot on iPhones and iPads, and if you’re looking for a great video editing app to help you make the most out of your footage, you’ll find it with Videoshop — the ultra-popular movie editing app which currently carries a 4.5-star rating in the App Store, following more than 2,100 reviews. The best news? Right now, it’s available for free, down from its usual price of $1.99. 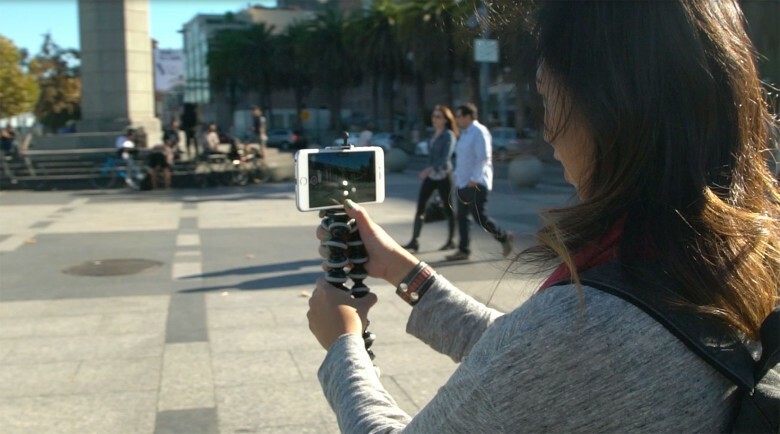 Cielo de la Paz can provide steady guidance on how to shoot video with the iPhone. You have so much great video footage on your iPhone, but therein lies the problem. The thought of sitting down at a computer to edit any of it seems like a mountain you have no time to climb. Cielo de la Paz is happy to help you reach the summit – rather quickly, too. de la Paz is a fearless creator whose soulful wanderings with her iPhone camera inspired Apple to select some of her work for the “Shot on iPhone 6” advertising campaign. A face only a pug owner could love. iPhone and iPad video recording is fast becoming a standard way of sharing the view of our world these days. 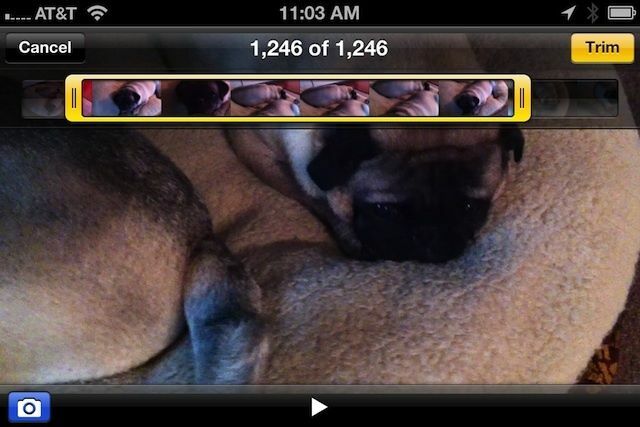 With the new HD video options in the iPhone 4S and the new iPad, of course, the videos are getting even larger. What’s a budding videographer supposed to do with these huge files when sending them to our friends and family? Turns out, you can trim the videos down right on your iOS device using the Trim feature. Here’s how.